The skills of the men of the SAS are legendary because they are expected to beat overwhelming odds again and again. Attributes such as speed, purpose, surprise and simplicity are second nature to these top notch recruits and thanks to them the unique Special Forces unit has repeatedly succeeded in extremely challenging tasks, often against vastly superior forces. They are frequently asked to achieve the impossible and most of the time they do just that. Are the principles which form the foundation of this elite unit only applicable in special circumstances though? Surely, if a team can consistently work at peak performance and pull off dramatic feats in the field of combat, there must be using some essential techniques that can be put to use elsewhere? 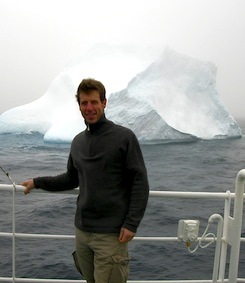 Former SAS man Joff Sharpe argues that they can. Indeed, he says the methods of the Special Forces can and should be used by businesses to give companies a crucial edge in the vastly competitive corporate world. Sharpe is well qualified to judge. Following a successful ten-year career in the army, he spent twenty years as a human resources professional working for blue chip companies such as Mars, PepsiCo, News International and Vodafone. He uses this wealth of experience to identify ten principles followed by the SAS that can lead any company to peak performance. Doing business the SAS way isn’t easy, but being the best never is. If you want to win though, this is how. Korean rights have been sold in Joe Fuhrmann’s Rasputin: The Untold Story. Hebrew rights have been sold in Danny Orbach’s The Plots Against Hitler. The trailer for Joff Sharpe’s Citywire events is now online here. 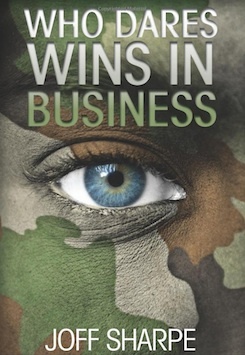 Joff Sharpe, author of Who Dares Wins in Business, has been interviewed on the Danny Pike show on BBC Surrey. Joff Sharpe has written an intriguing new piece for the Huffington Post. Has the SAS Gone Soft?